A crowd of 85,021 - a record for the EFL Trophy final - saw Republic of Ireland midfielder Aiden McGeady fire home a free-kick to put Sunderland ahead in the first half, before Nathan Thompson levelled with a stooping header eight minutes from the end of normal time. 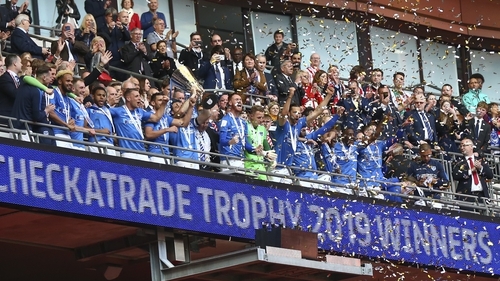 Penalty drama followed and Portsmouth were faultless, scoring all five to ensure they lifted the trophy. It was heartbreak for McGeady but a day to remember for former Derry City man Ronan Curtis, who started and played the first 56 minutes before making way for Gareth Evans. The 32-year-old's curling strike took a slight deflection off the shoulder of Omar Bogle and that was enough to take it out of MacGillivray's reach.